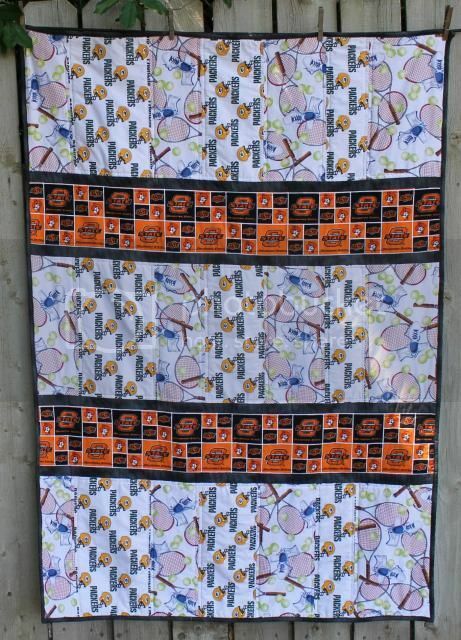 Really Quite Random Quilt #1 - Finished! The gal I did the Runner's T-Shirt Quilt for has a complaint. ...her two boys are CONSTANTLY stealing the quilt. So she asked me to make them their own quilts. 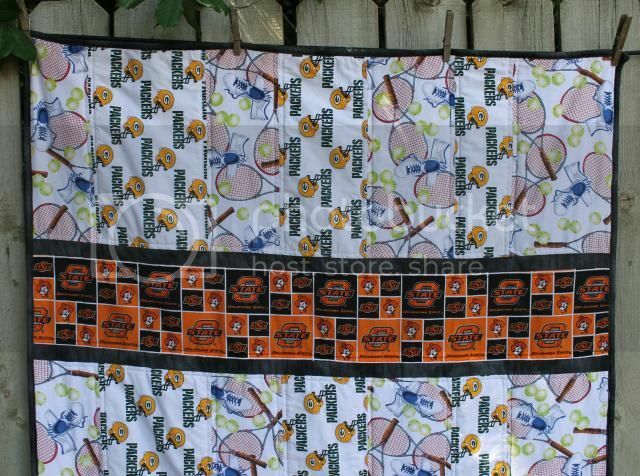 The first one is Packers, tennis, and OSU fabrics. I had yardage of that, so I went with a simple strip design. I kind of really like the way the OSU strips offset the others. 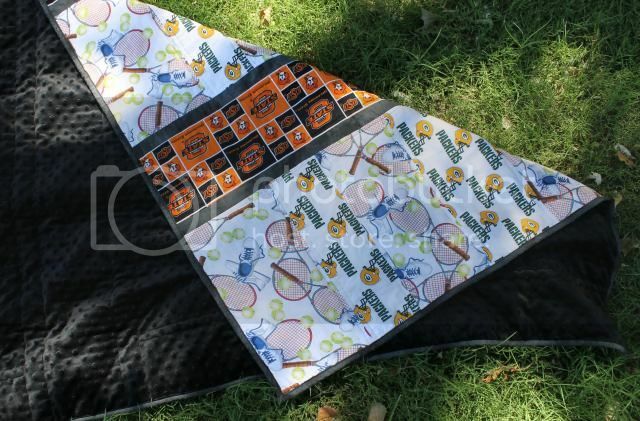 It's echoed quilted along the seam lines.